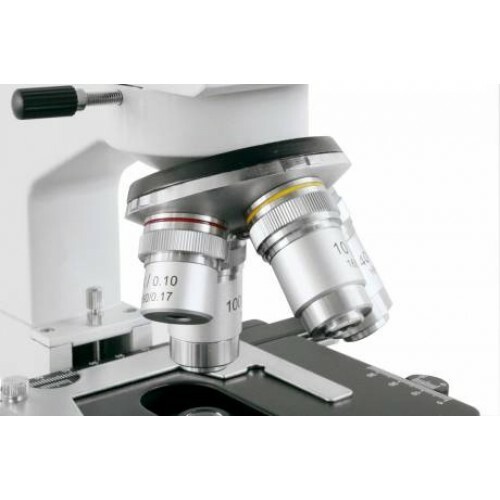 The Bino Researcher is the mostly-selled BRESSER biological microscope in the medium range, due to its unbeatable price. 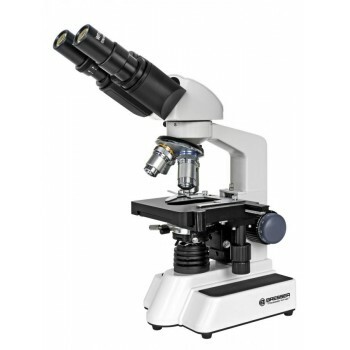 The microscope is based on a solid metal body and performs the wide magnification range 40x-1000x, that is reached with 4 objectives and one pair of eyepieces. So, this instrument fulfills higher demands. 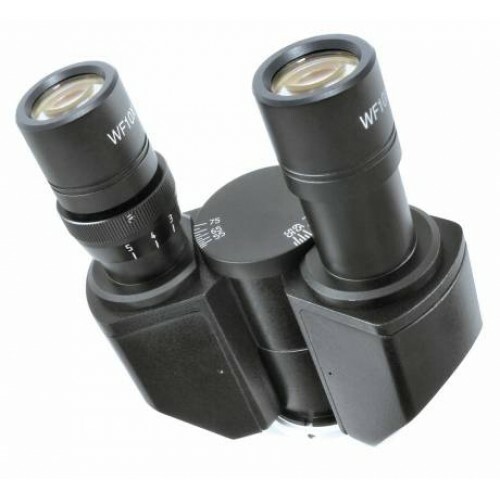 The 40x- and the 100x-objective are retractable (safeguarding against damages). The 100x-objective is intended for oil immersion microscopy (immersion oil is included). The halogen lamp is bright (20 W), and its intensity is variable with a dimmer. The adjustable Abbe condenser is equipped with a blue filter and an iris diaphragm. There is a focuser with a coarse and fine drive for dead-sharp images, and a mechanical desk for exact object positioning. The binocular head is 360° rotatable and also it makes possible the individual adjustment of eye relief as well as the diopter adjustment. Observation objects: Microbes, Insects, Plants.